Come join us in New York City! 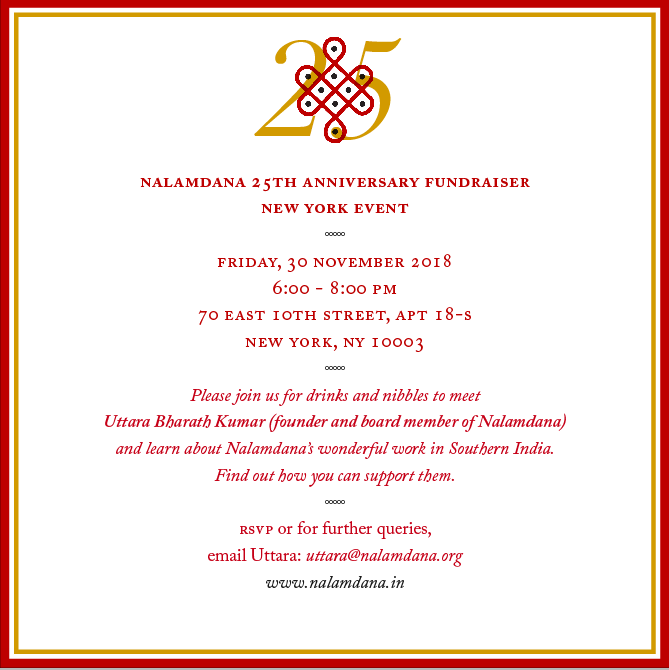 Join us for drinks and nibbles and to meet Uttara Bharath Kumar, founder and board member of Nalamdana. Discover the difference Nalamdana has made in 25 years and new challenges for the future. Can’t be there? Make an online donation instead! Just click here.